gunsandbutter - Will the Trump Presidency Prevail? Will the Trump Presidency Prevail? 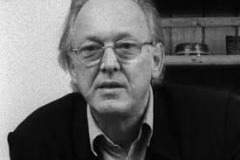 Michel Chossudovsky's latest articles, US Foreign Policy and the Campaign to Destabilize the Trump Presidency and Color Revolution Against Donald Trump are discussed; broad implications of normalizing relations with Russia in the Ukraine, Syria and with regard to terrorist assets of the western military alliance; #Disruptj20; international protests a recognition that US presidency is a form of global governance; attempts to de-legitimize the US presidency with talk of impeachment and Manchurian candidate; meaningful protests captured by engineered protests funded by foundations via NGOs; history of color revolutions; OTPOR and CANVAS; the color revolution business; funding dissent entrenched in the New World Order; National Endowment for Democracy; Freedom House; World Social Forum; fake news; Chinese consumer goods add to the GDP called Core Value Added; Import Led Development; danger in challenging China; will Trump challenge the War on Terror. Fantastic Show. Thank you Michel & Bonnie. Great show. Insofar as your statements concerning protest movements, aren't you(Michael) painting any/all civil rights actions into a corner with your analysis? You seem to agree with the sentiment of the protest movements, but you then say they are all or will be co-opted. Won't this sort of blanket perspective hamstring genuine opposition? How would you suggest mass action movements operate? It is utterly disturbing, disheartening and maddening to know that highly-placed, powerful sponsors of terrorism have, and continue to, facilitate proxy bands of what are essentially paid assassins or hit men, and to do so without any legal consequences for conspiracy to commit mass murder. An urgently needed reform at the United Nations would eliminate impunity for major crimes including wars of aggression and crimes against humanity, with state-sponsored terrorism on the list of atrocities subject to prosecution and appropriate punishment. That UN reform makes it mandatory for member states to sign the Rome Statute and join the International Criminal Court (ICC) or face expulsion from the United Nations. Nations which reject ICC membership will become an effective pariah nation in the eyes of the world, suffer the negative consequences as relates to international relations, and find it necessary in short order to join the rest of the global community in the new universal legal system. Research Mr. Benjamin Ferencz, the 97-year old sole remaining prosecutor from the Nuremberg Trials who has tried for 70 years to establish such an international legal order. No less than Albert Einstein strongly suggested the same system for decreasing or ending illegal wars. It is obvious that individuals have committed major war crimes while suffering zero punishment for long enough, that continuance of such a state of affairs is absolutely untenable and threatens civilization if not rectified, and powerful action toward that end is urgent - more urgent now than ever. You are going to get the UN to reform the world from collectivism ??? The UN was created to promote collectivism. David Rockefeller gave the land to build the UN building. The problem starts with Wall Street. Ref. http://www.scribd.com/doc/115919607/FUNDING-THE-NEW-WORLD-ORDER.